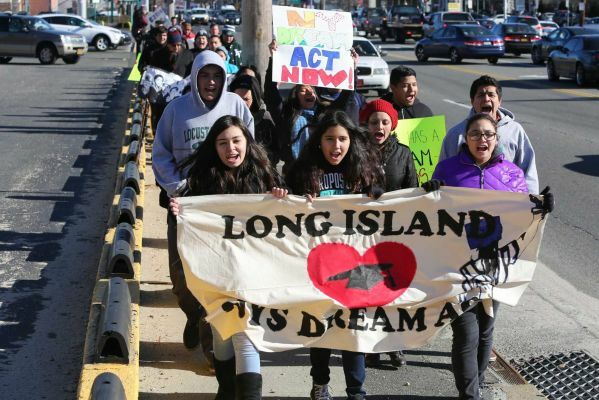 NYS DREAM Act One Step Closer to Becoming a Reality! 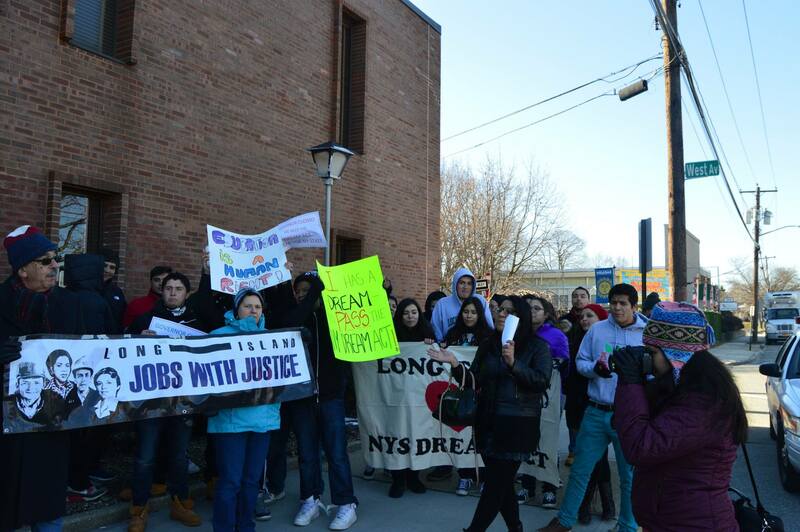 After years of fighting for the passage of the New York State DREAM Act, yesterday we came one step closer to victory. In his State of the State address, Governor Cuomo finally called for its passage! This is definitely a positive first step to making DREAM legislation a reality for thousands of hardworking undocumented youth in New York; however, we remain wary of its packaging with the Education Tax Credit bill that can divert millions from public education. This announcement came days after our rally at the Governor’s office in Hicksville. We would like to commend all of the Dreamers, workers, faith leaders, educators, and allies who came together to push for the inclusion of the NY DREAM Act into the the state budget. Thank you for coming to marches, organizing, calling in, providing meeting spaces, and otherwise showing support. In order to keep growing our movement, we must continue to stand for education and dignity for all our young people!! ← Registration Open for our 2015 Working But Still Poor Conference! Register Today!